You are here: Home » Social Security Disability » Social Security Disability Benefits » When should I file my Social Security Disability application? Find out the best time to file a Social Security Disability application and how to protect your filing date to avoid losing back pay benefits. 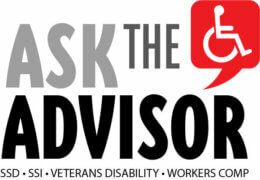 Disability Advisor recommends that you file your Social Security Disability application as soon as it appears that you may be disabled for twelve months or that you are not expected to survive for twelve months. Except for compassionate allowances for terminally ill individuals and a few other expedited claims, most disability claims take from three to five months to get a medical decision and longer for benefits to start. Unless you have a clear-cut disability, you might even have to appeal, which would extend the time before an approval even more. So, the sooner you get started on your claim, the sooner you will have a determination. You do not have to wait for other benefits such as workers compensation, sick pay, or short-term disability to run out before you apply. In fact it is very desirable to have your claim approved while you still have other income so that you are not left with an income gap. Getting started is especially important if you have already been off work or have been working below substantial gainful activity (SGA) level for seventeen months or more. If you have already been disabled for seventeen months, you need to start your application now—before the end of the month—in order not to lose potential back pay. You can establish an application filing date by calling Social Security’s national toll-free number 1-800-772-1213 and telling them that you want to file a disability application. You do not have to complete the application that day. Alternatively, you can protect your disability application filing date and your potential back pay by starting your disability application online at www.ssa.gov and saving the application online to finish later. (Be sure to save the access number you are given so you can get back to the application.) The date that you first contact Social Security about filing a claim will be your disability application date. Then you can take time—up to six months—to gather information for your application and, if desired, appoint an attorney representative. It can be hard to decide whether or not you are disabled to a degree that you should apply for Social Security Disability (and/or Supplemental Security Income disability if you have limited income and assets). If you think you are disabled or you are not sure, be sure to file a claim to get a formal determination. Let’s take that apart and look at what “substantial gainful activity” and “continuous” mean. “Inability to perform substantial gainful activity” (SGA) means that you are unable to work in any occupation that you could do or learn to do in on-the-job training if you did not have the physical or mental or emotional limitations you have or that you could not work enough hours regularly to have your earnings to be substantial. If you are an employee, the usual benchmark amount in 2019 is $1,220 gross earnings. (Gross earnings means before taxes and other deductions.) If you are blind or legally blind, the benchmark is $2,040. If you are self-employed, during the first two years of disability both your earnings and your work hours and responsibilities are considered in determining whether your work activity is substantial. The benchmark is $1,220 net profit ($1,950 if blind). In addition eighty hours of work in a month usually is considered substantial even if your profit is less than the benchmark. If you are a key figure in your company, how essential your work activity is to the company is also considered. Usually when we say something is continuous we are saying that it goes on with no breaks in it. However, in qualifying for disability benefits, there can be breaks in the required twelve months of disability if the breaks occur due to one or more unsuccessful work attempts. Here’s an example: Let’s say that you are off work for five months and decide to try to go back to work. You work in your old occupation or a different one performing substantial gainful activity for four months but have to stop again because of your disabling medical condition. In that case, your return to work was an unsuccessful work attempt and the five months off work before the work attempt count toward the twelve months of disability needed to qualify for benefits. You might be disabled even if you are earning more than $1,220 (with blindness $2,040) if you have Impairment (disability)-Related Work Expenses (IRWE’s) including but not limited to medication and medical treatment that makes it possible for you to work. The amount of those expenses will be used to reduce your earnings before evaluating for SGA. Similarly, if you are receiving special accommodations in the workplace such as getting to take extra or longer breaks, being allowed to go home early or call in sick more often than workplace norms, the special accommodations may indicate that you are not able to work and earn what you are being paid in a competitive workforce. This could result in a determination that your work is not substantial gainful activity. Unless you have a very serious illness or injury with very severe limitations that meets Social Security’s medical disability listings, your education and work history and the transferable skills you have obtained from your education and work are key to whether or not you can work in a new occupation after becoming unable to work in jobs you have held in the past. For that reason it is important to complete the vocational questionnaire fully listing all the physical and mental demands of past jobs and stating the duties clearly. If you have any literacy challenges despite your education, be sure to mention those, too. If you think you are disabled as defined by Social Security law file a claim to get a formal determination. If you are not sure, either file a claim or arrange a usually free consultation with one or more experienced Social Security attorneys to get professional opinions. For information on how to file your disability claim, see our article How Do I File an Application for Social Security Disability Benefits? Also visit our other articles under “Applying for Benefits” in the drop-down menu under the Social Security Disability/SSI tab at the top of this web page.